» Wired vs Wireless Gaming Headset – Which Is Better For you? Wired vs Wireless Gaming Headset – Which Is Better For you? For ordinary computer users, it probably does not matter if they use a wired gaming headset or a wireless gaming headset. They probably don’t even know that there’s a significant difference between the two. The case is different, however, for gamers. It does matter which kind you use. Wireless for unrestricted movement, while wired for uninterrupted sound transmission. Or is it? The dispute between wired and wireless gaming headsets has not yet been concluded. Some say it depends on your lifestyle. But really? 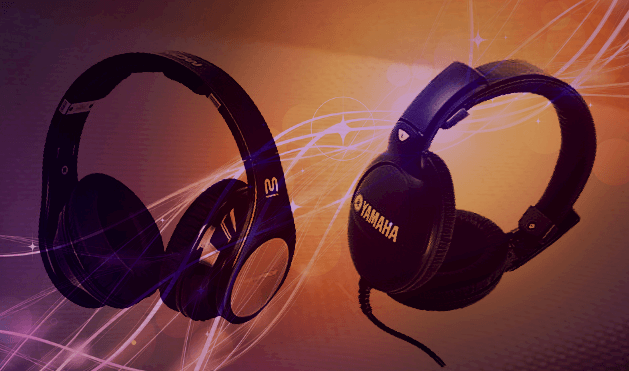 This article will give you a run-through of the pros and cons of each headset type, so read on! Before we go into the comparison and contrast of the two, we should first acquaint ourselves with what they are and how they function in relation to gaming. Wired headphones are those that are connected to your computers and other electronic devices through, you guessed it right, a wire connector. The wireless ones, on the other hand, depend on electronic signals for connection. Now, let us compare the two based on the features detailed below. In terms of design and comfort, wireless gaming headphones give you a more flexible leeway at movement. Movement is not constricted since you do not have to think of wires getting tangled as you move. However, the downside is if there are other signal emitters or absorbers within vicinity, you may experience interference in your sound and gaming. This affects sound quality as well. For wired ones, flexibility is sacrificed since the extent of the user’s movement is limited by the length of the cord. In sum, more interference can be expected with wireless gaming headphones even if they provide more comfort and mobility. NOTE: While they offer comfort and convenience, majority of wireless headphones utilize 2.4GHz Bluetooth that can make it tough for these headphones to match the sound quality of their wired counterparts. As for design, this is decided on a personal basis. One may find wired headphones more attractive, while the other, wireless ones.When gaming, does design even matter? Surprisingly, it does for some. Definitely though, comfort matters to all. This round goes to: wireless gaming headsets. In terms of the quality of sound, wired gaming headsets deliver maximum transmission speeds at all times. That means sound travels interference-free, as compared to wireless headsets, which are prone to signal interferences, being unbounded. For wireless gaming headsets, audio quality is slightly worse mainly because of latency. This is not to say that all wireless headsets are inferior to wired ones. Of course, it also depends on the quality you are willing to pay for. Normally, the wireless gaming headsets that give the user a high-quality sound experience are those that cost more.Therefore, if you have a high spending limit for headphones, you can go for the wireless, quality ones. If you don’t, the wired ones offer the same sound quality, more or less. This round goes to: it’s a tie. Some say there is little difference between the two and that whatever difference they used to have has lessened over time. In terms of price, wireless gaming headsets are generally more expensive than their wired counterparts. Remember that wireless ones need a steady power supply for their maximum performance. Wired ones just need to be connected to the audio jack of your computers.Undeniably, you cannot and should not expect to have good sound quality from a cheap headset. However, it does not likewise mean that just because you paid for more, you will be getting the best. This round goes to: wired gaming headsets. In terms of the battery life, generally, wired headphones do not need power. Thus, you can game all day or all night without worrying if you need to charge your accessory or not. You can take your headset with you wherever and just plug it in your computer, then enjoy your game time. As for wireless gaming headsets, occasional battery changing or battery charging is needed. They need a power supply to function. In sum, even if your wireless headset says it has a long battery life, it still needs charging. This round goes to: wired gaming headsets, all the way. Ultimately, the choice depends on the user himself/ herself. What may be good for one may not be good for another. It is also a matter of selecting the kind of gaming headset that is available at the most optimal price. If resource is an issue, affordability and sound quality must be the primary criteria. If you can and/or are willing to spend for your gaming, then sound quality must be the number one consideration. Unless you’re using headphones for gaming, recording, or anything that can be affected bylatency-related sync issues, there is no significant difference between wired and wireless headsets. Personal preference varies from person to person. But given the comparison between wired gaming headsets and wireless gaming headsets above, you should now have a better insight into selecting what is best for your maximum enjoyment and gaming experience. Which do you prefer? We hope we helped you cement your choice in gaming—be it a wireless gaming headset or a wired gaming headset!